E. P. Sanders's monumental Judaism: Practice and Belief inaugurated vigorous debates about the extent and significance of commonality and diversity in ancient Judaism. 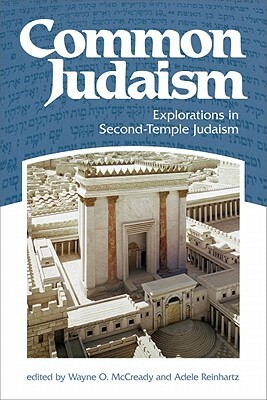 Common Judaism gathers a host of scholars to present the state of our understanding of what was common ground in Second-Temple Judaism. By examining the tensions between a "common Judaism" and local settings, partisan Judaism, and the influence of Hellenism, these essays set contemporary discussion on a secure footing. An important resource for scholars and students alike, the contributors include: Lee I. Levine, Boaz Zissu, David Amit, Susan Haber, Albert I. Baumgarten, Anders Runesson, Cecilia Wassen, Anne Moore, Tessa Rajak, David Miller, Eliezer Segal, Seth Schwartz, and Ian W. Scott.